All gifts to Kent Denver School are dedicated to improving the educational experience of our students. Your gift provides the best teachers, programs and facilities. Click here to give now. Kent Denver is a special place. For nearly 100 years we have been able to provide the highest-quality education to our students thanks to the generosity of our community. But tuition and fees provide only 88% of the cost of a Kent Denver education. The remainder comes from endowment income and, crucially, the Kent Denver Fund. Your gift to the Kent Denver Fund provides the additional funds necessary to support the students, teachers, coaches, deans, advisors and programs that make Kent Denver such an extraordinary school. Each gift, no matter the size, makes a difference. We depend on the collective generosity of our entire community—parents, alumni, trustees, grandparents, parents of alumni, faculty and staff, business partners and friends—to support our unique educational environment. *Our fiscal year runs July 1–June 30. Gifts to the Kent Denver Fund are 100% tax deductible as allowed by law. Click here to make an online gift or pledge. Endowment funds provide ongoing support for Kent Denver School and our programs. As of June 30, 2017, our 110 endowments totaled $60.1 million thanks to the generosity of numerous visionary donors over the school’s history. More than $26 million of our endowment is dedicated to faculty enrichment, scholarships or specific programs. Each year, a significant percentage of the income generated by the school’s endowment funds is used to support the school’s operations. Remaining earnings are reinvested into the endowment to ensure Kent Denver's continued growth and financial strength. 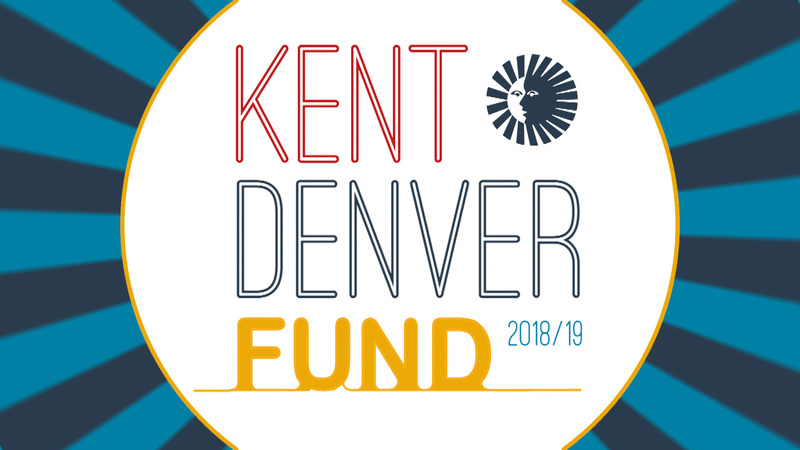 Many named endowment funds and teaching chairs receive ongoing contributions from the Kent Denver community, but we are always happy to discuss establishing new endowment funds. For information on establishing a new endowment fund or contributing to an existing fund, please contact Phil Klein, Director of Development, at (303) 770-7660 ext. 526 or pklein@kentdenver.org. Established in 1995 by the Borgen family—Bjorn, Katherine, Kaia ’89, Randi ’93 and Jon-Erik ’95—this fund recognizes a faculty member who possesses excellent teaching skills, the ability and desire to motivate students and the willingness to go the “extra mile” for each individual, inside and outside of the classroom. The holder of the Borgen Family Chair possesses personal characteristics that make him or her a strong role model and mentor. Established by RaNae, Lindsey ’03 and Ty ’05 Magness in 2005, this chair honors Tom Graesser for his institutional loyalty, cheerful optimism and complete dedication to student success. Tom Graesser’s heartfelt advice, friendly good nature and clear moral authority has inspired generations of Kent Denver students. Established by the John C. Malone family in 1989, this chair honors Burges M. Green’s exemplary teaching and sincere interest in the lives of his students, in particular Tracy ’85 and Evan ’88 Malone. This distinguished teaching chair recognizes and rewards a faculty member for taking a deep interest in all students, understanding that different students are going through different experiences each day and committing to help every student to be successful. By going the “extra mile” with a sense of humor, perspective, and continuing interest in students after graduation from Kent Denver, this faculty member sets a positive example for others. Burges Green started his career with Kent Denver School in 1970 as a history teacher, college counselor, club sponsor, advisor and coach. An accomplished mountaineer, transatlantic sailor, fly fisherman and skier, Burges is well known for his warmth of personality, sense of humor and abiding interest in his students, past and present. Established in 2015 by a gift from Bridget and John Grier, the Grier Family Distinguished Debate Chair provides salary and program support for the Director of the Kent Denver Debate program. This gift was made in recognition of the invaluable skills in communications, teamwork, problem solving and critical thinking gained by Debate students, including their son Hugh, class of 2015. The holder of this chair will be committed to the ongoing growth and development of the Kent Denver Debate team on the national stage, innovative integration of debate principles throughout the 6-12 Grade student experience, and the success of every student of Debate. Established in 2013, this chair honors Jane Horn and her 17 years of service to Kent Denver as a history teacher and director of college counseling. Her enthusiasm for teaching, extraordinary work ethic and loyalty, masterful writing, unflagging commitment to excellence, and caring support for students and colleagues exemplified the very best in Kent Denver professional performance. The holder of this chair is fully dedicated to students' success both inside and outside the classroom, committed to personal excellence with a sense of humility and good humor, and consistently works to bring out the best in colleagues. Established in 2013, this chair honors Todd Horn and his 17 years of service to Kent Denver as Head of School and teacher. Todd's transformational leadership, intentional commitment to character and ethical development, unflagging support for each individual to discover a sense of purpose in pursuit of worthy goals, and unwavering focus on continual improvement of the Kent Denver experience for every student and community member authentically exemplified excellence in scholarship and character. The holder of this chair is deeply committed to the Vision and Core Values of Kent Denver School, brings out the very best in colleagues and the community as a whole, strives for forward-looking excellence and finds new ways for students to understand and advance their talents, beliefs, achievements and ethical foundations. Established in 1988 by the Pauls family in honor of Steven L. Johnson, this chair recognizes a faculty member whose lessons and examples positively influence young students throughout their lives. This chair honors and rewards exemplary teaching—teaching that demonstrates energy and integrity in the service of students and their futures. It is awarded to a teacher who, through consistent effort, extraordinary means and personal example, demonstrates a single-minded passion for the whole student, whole education and a whole civilization through teaching that applies all academic disciplines as though one. This teacher’s professional conduct will provide a model that encourages every student to seek to discover truth, ethics, practicality and beauty. Steven L. Johnson, a doctor of veterinary medicine, served Kent Denver School from 1980 to 1990 as an inspirational teacher and visionary leader of the science department. He served as department chair for 10 years and as a mentor to both students and faculty. Established in 2005 by the McGrath family, this chair honors John Kuntz for his tremendous sense of advocacy for all that can be accomplished during the middle school years. John Kuntz promotes a deep appreciation for the interconnectedness of emotional, social and intellectual development. His good humor, organization and commitment to bringing out the very best in each individual child represents the finest in educational leadership. Established by RaNae, Lindsey ’03 and Ty ’05 Magness in 2005, this chair honors Kurt MacDonald for his ability to blend high energy, hard work, commitment to excellence and a genuine sense of joy and discovery in his teaching. Kurt MacDonald promoted fairness, justice, objectivity and lively good humor in all learning activities. Established by RaNae, Lindsey ’03 and Ty ’05 Magness in 2005, this chair honors Carol MacKay for her passion and commitment to teaching and making complex material and concepts readily accessible to all students. Carol MacKay’s creativity, animated teaching demonstrations and openhearted approach to learning and her students fostered wonder and a sense of welcome in her classroom. Established in 2005 to honor Priscilla Scobie, who has demonstrated leadership and the importance of having a strong Associate Head of the Upper School at Kent Denver, these funds will help to augment salaries to recruit, retain and honor high-performing, quality faculty members who enhance not only excellence in scholarship, but also strong character and mentorship. Established in 2003, this chair celebrates Keith L. Warner’s extraordinary service to Kent Denver School and to the students who were at the heart of his work. As Dean of Students, math teacher, coach, advisor and tutor, Keith Warner went “above and beyond the call of duty” on a daily basis during his 24 years at the school. The Keith L. Warner Distinguished Faculty Chair seeks to promote a sense of initiative and selflessness in helping all students meet with success. The award recognizes and rewards a teacher or dean who, like Keith Warner, is consistently willing to step outside of his or her job description and prescribed duties to provide support and guidance for students. This individual has served the school for at least five years, demonstrates loyal service in a wide variety of capacities and continues to volunteer to handle even the most complex and difficult challenges. The Scott Yates Leadership Chair was established to recognize teachers who are good role models for students and excellent mentors for their colleagues. The chair is named in honor of Scott A. Yates, a member of the faculty since 1981, who, through his many roles at Kent Denver School, has established himself as a valued colleague and mentor for teachers, coaches, and staff, and a gifted advisor to students. He is well-known as one of the state’s best coaches. Because the school views good character as important as excellence in scholarship, this chair recognizes those teachers and staff who possess the personal qualities of Scott Yates. Established in 2011, this chair honors a member of the Kent Denver faculty who demonstrates a forward looking vision, strong leadership and sound scientific judgment in helping the students and faculty of Kent Denver School to take full advantage of various learning technologies and digital resources to maximize human potential. Through research of current best practices and exposure to technological applications in a variety of fields, this individual provides objective guidance so that the students and faculty at Kent Denver School understand, engage and leverage the proven benefits that technology offers, both in- and outside of the classroom. Integrating technology into practical problem solving, communication and critical thinking will help ensure that Kent Denver students thrive in college and beyond.